Whatever happens, it happens on Twitter; and the people on Twitter shape what’s happening. Last year, Thailand’s Twitter timeline was ruled by the entertainment industry. Thais have proven that Twitter is the go-to platform to track #WhatsHappening in the Thai entertainment scene, as it dominated the conversation in 2018. 2018 was a year dominated by local and international talents: from #BTS and #GOT7 to @BamBam1A and @peckpalit, while TV dramas also made their mark with conversations centering around #บุพเพสันนิวาส (Bupaesaniwas) and #เลือดข้นคนจาง (In Family We Trust). The biggest news story in Thailand on Twitter in 2018, and which also trended globally, was the Tham Luang cave rescue (#ถ้ำหลวง). #GOT7 — 2018 was a big year for South Korean boyband GOT7 (@GOT7Official) as they topped charts in twenty countries with their EP ‘Eyes On You’. Thai fans showed their support on Twitter sending them to the top of Thailand’s hashtag charts making #GOT7 the most Tweeted about hashtag in Thailand in 2018. #เป็กผลิตโชค — The top Thai language hashtag on Twitter in Thailand in 2018 was #เป็กผลิตโชค, and it drove Thai singer Palitchoke Ayanaputra, aka Peck (@peckpalit), to new heights. His Twitter fanbase supported Peck’s global rise with him winning Best Asian Artist Thailand at the 2018 Mnet Asian Music Awards in Hong Kong, while at home in a popular vote he was voted #1 male entertainer of the year. #wannaone — Following in @GOT7Official footsteps, South Korean boyband Wanna One (@WannaOne_twt) were supported big by their Thai fans with the third most popular hashtag in Thailand in 2018, #wannaone. Created in 2017, their fame has been fast and came to an end with their final concert on 27 January, 2019. Fans follow on Twitter waiting to learn what’s next for the eleven superstars. #บุพเพสันนิวาส — Thai TV drama Bupaesaniwas brought period dramas back into fashion being the biggest Thai TV hit in 2018, and drove the Thai Twittersphere to new heights with #บุพเพสันนิวาส trending long after Season 1 had finished. The Channel 3 drama has gone international after Cambodia’s PNN TV bought the rights, and Thai Twitter fans are expecting Season 2 later this year. #bambam — Thai artist Kunpimook Bhuwakul, aka BamBam (@BamBam1A) is a singer, songwriter, rapper and producer. He’s also a member of the South Korean boyband GOT7 (@GOT7Official). #exo — Testament to K-Pop’s popularity in Thailand is #exo taking the third K-Pop related hashtag listed on Twitter’s Top 10 hashtags in Thailand in 2018. #bnk48 — Thai idol group BNK48 (@BNK48Fans) took Thailand by storm in 2017 and continued to dominate Thai pop culture in 2018 as the sister group to Japan’s AKB48 (@AKB48) expanded in size, performed all over the country, and had an audience and shook hands with the Thai Prime Minister. This played out on Twitter with fans pushing #bnk48 into the Top 10. #ถ้ำหลวง — The biggest news story of the year was the Tham Luang cave rescue which spawned many hashtags around the world and trended globally on Twitter. With the world’s attention on the rescue of 12 young Thai footballers and their coach stuck in a cave in the North of the country, it’s no surprise that #ถ้ำหลวง drove the conversation in Thailand as Thai people went to Twitter to get the latest news. #บาสเด็กอ้วนที่แท้จริง — Suradech Piniwat aka Bas trended strongly on Twitter in Thailand in 2018. Well-known as a singer in SBFIVE, his mixed heritage (Thai, American, Chinese) has helped him on his way to stardom and his role in the Thai LGBT TV series “2Moons: The Series” has broadened his fanbase further. #เลือดข้นคนจาง — Second only to Bupaesaniwas, the TV soap “In Family We Trust” previewed on ONE 31 channel in the second half of the year and shot up the trending charts. The show was well received and widely discussed on Twitter as fan conversation centered around the hashtag #เลือดข้นคนจาง. Thais love to follow their favourite singers, actors and entertainers and K-Pop is their top entertainment choice on Twitter with BTS (@BTS_twt) being the most talked about on Twitter in Thailand in 2018. Fellow Korean group GOT7 (@GOT7Official), were the second most talked about on Twitter while the most talked about Thai celebrity on Twitter in Thailand in 2018 was Kunpimook Bhuwakul, aka BamBam (@BamBam1A) — a singer, songwriter, rapper and producer, and also a member of GOT7 (@GOT7Official). The most Tweeted about accounts were not those with highest number of followers, but were those that most active to engage in conversations with audiences and focus on building communities of fans. This shows how being engaging with your audience is more important than just focusing on follower numbers. BTS (@BTS_twt) — The K-Pop juggernaut that is BTS were the most Tweeted about account in Thailand in 2018 as their huge Thai fan base tweeted the latest happenings about their favourite Korean boyband all year long. GOT7 (@GOT7Official) — GOT7 treated their Twitter followers to minute-by-minute action from the lives of all the group members, as well as sharing lots of video. Their Thai fans consumed it with a vengeance making GOT7 the second most talking about account in Thailand in 2018. Kunpimook Bhuwakul (@BamBam1A) — More commonly known as BamBam, the Thai actor’s talent and good looks made him the most talked about person on Twitter in Thailand in 2018 with fans hanging on his every word and driving conversation on the platform organically. Peck Palit (@peckpalit) — Peck had a big year on Twitter in 2018. Supported by the top Thai language hashtag in 2018, #เป็กผลิตโชค, Peck was the fourth most talked about account with his near 1 million followers enjoying the candour and humour Peck expresses through Twitter. คำคม ยิ้มแฉ่ง (@THarmharm) — A prolific Tweeter @THarmharm has struck a chord with their followers providing inspirational quotes and emotional understanding. In English the handle translates as “Good Quote Big Smile” and it has become the go-to place for Twitter fans looking to be inspired and uplifted throughout the day. คมศักดิ์ แอดดัมส์ (@KomsakAddams) — An early Twitter adopter, @KomsakAddams has been active on the platform since 2009 and is known for creating new Thai language words and phrases that become iconic pop culture moments, such as “yim orn” (gentle smile). Infused with humour, his tweets resound with his followers and have catapulted him into the Top 10 talked about Twitter accounts in Thailand in 2018. MThai (@mthai) — One of Thailand’s top online news portals and webboards that has developed over the last 20+ years, remains very relevant in the news and entertainment space today. @mthai have leveraged Twitter to provide a channel of communication that rings true with their followers. cuttO (@cuttolipta) — cuttO is one half of the the star musical duo of cuttO and Lipta that perform under the band name Lipta. Their R&B and Pop fusion genre has stood the test of time as they reach across demographics with an engaged Twitter fan base. cuttO’s own Twitter persona is both deep and inspiring, sharing Tweets with life messages and quotes, many of which are liked thousands of times. ค่อนคลุง (@iconnnz) — Known for his direct to-the-point Tweets and sharing his opinions on a wide range of topics, ค่อนคลุง has struck a chord with his followers and also enjoys giving honest reviews on the latest food products. ใต้เตียงดารา (@UnderbedDara) — Active in the celebrity and entertainment space, ใต้เตียงดารา translates to English as “Under Celebrity Beds.” @UnderbedDara is the go-to account for celebrity news on Twitter as they delve into Thailand’s celebrity world, Tweeting the latest gossip, rumours and truths, covering the latest movies, celebrity happenings and who’s dating who. People from all walks of life all over the world come to Twitter every day to have conversations and to find out and catch up on what’s happening. Humour can play a big part in Tweet popularity in Thailand and these most Retweeted Tweets prove that even non-celebrities can get their Tweets viral. The Tweet from ควันไฟ (@praewrepaw) about an exchange between customer and delivery company rang true with many and took top spot of most Retweets in Thailand in 2018 with 136,000 Retweets. A comical play on words saw this Tweet by W4 (@w2metre) Retweeted 136,630 times. A feel good Tweet by UnicornFelix (@Lix_Shuiling) about a situation at work connected with many and was Retweeted 137,186 times. 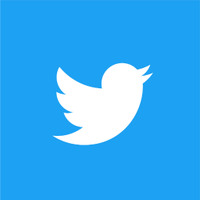 Twitter is not only the platform where people connect with their favorite artists, it is also the preferred platform for brands to reach out to their audience. Twitter campaigns by brands from different industries like telecommunication, food, retail, and banking have been using Twitter to forge closer ties and cultivate a better relationship with their audiences. From viral videos to online content, and relatable and witty community management or online customer service, this year’s most engaged brands have successfully made their voices heard. Keeping it real while knowing their audience, providing customer service and informational updates, combined with entertaining videos and leveraging celebrities has made AIS (@AIS_Thailand) the most talked about brand on Twitter in Thailand in 2018. Whatever happened, in every corner of the world, and on any topic imaginable, it happened on Twitter. Be a part of the conversation in 2019 and engage on Twitter now.